Given the extensive utilization of contracts in supply chains, the issues concerning contract analysis and design are extremely important for supply chain management (SCM), and substantial research has been developed to address those issues over the past years. Despite the abundance of classical research, new research needs to be conducted in response to new issues emerging with the recent changing business environments, such as the fast-shortening life cycle of product and the increasing globalization of supply chains. This book addresses these issues, with the intention to present new research on how to apply contracts to improve SCM. Chapter 1 provides a comprehensive review of the classical development of supply chain contracts. Chapter 2 examines the effects of demand uncertainty on the applicability of buyback contracts. Chapter 3 conducts a mean-risk analysis for wholesale price contracts, taking into account contracting value risk and risk preferences. 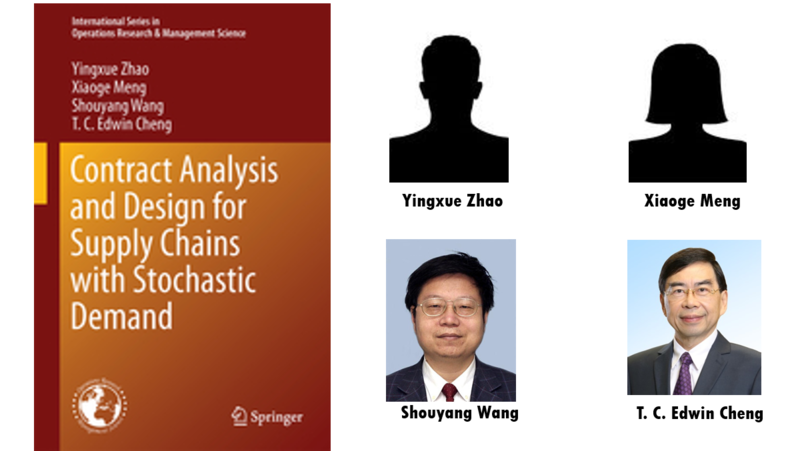 Chapter 4 studies the optimization of product service system by franchise fee contracts in the service-oriented manufacturing supply chain with demand information asymmetry. Chapter 5 develops a bidirectional option contract model and explores the optimal contracting decisions and supply chain coordination issue with the bidirectional option. Chapter 6 addresses supply chain options pricing issue and a value-based pricing scheme is developed for the supply chain options. With a cooperative game theory approach. Chapter 7 explores the issues concerning supply chain contract selection/implementation with the option contract under consideration. Chapter 8 concludes the book and suggests worthy directions for future research. Yingxue Zhao received his Ph.D. degree in Management Sciences and En- gineering from Institute of Systems Science, Academy of Mathematics and Systems Science, Chinese Academy of Sciences (CAS), in 2010. He is currently associate professor of Supply Chain Management at School of International Trade and Economics of University of International Business and Economics. He has received some academic awards including the “Outstanding Paper Award » awarded by IEEE Systems, Man and Cybernetics (SMC) and the “Excellent Research Award for Scientific Research of Universities (Humanities and Social Sciences) » awarded by Ministry of Education of China. His research interests mainly focus on Supply Chain Management, particularly on Supply Chain Contract. His research papers have been published in journals including Production and Operations Management, European Journal of Operational Research, Annals of Operations Research, International Journal of Production Research, Journal of the Operational Research Society, Journal of Optimization Theory and Applications, and International Journal of Production Economics. Xiaoge Meng received her Master degree in Mathematics from College of Science, Shantou University, in 2006. During the Master period, her research interests mainly focused on Complex Analysis and Harmonic Analysis. Research papers of the relevant fields have been published in journals including Abstract and Applied Analysis, Applied Mathematics and Computation, and Journal of Systems Science and Complexity. Currently, as a Ph.D. student of School of Economics and Management at Beijing University of Aeronautics & Astronautics, her research interests have transferred to the area of Supply Chain Management. Over the years, she has received some academic awards including the “Excellent Paper Award » awarded by the 10th Annual Meeting of the Chinese Logistics Society (CLS). T. C. Edwin Cheng is Dean of the Faculty of Business, Fung Yiu King Wing Hang Bank Endowed Professor in Business Administration, and Chair Professor of Management at The Hong Kong Polytechnic University. He obtained a B.Sc. [Eng](First Class Honours) from the University of Hong Kong, an M.Sc. from the University of Birmingham, U.K., and a Ph.D. and an Sc.D. from the University of Cambridge, U.K. He has previously taught in Canada, England, and Singapore. Prof. Cheng’s research interests are in Operations Management and Operations Research. He has published over 600 papers in such journals as California Management Review, IEEE Transactions on Automatic Control, Journal of Management Information Systems, Journal of Operations Management, Management Science, MIS Quarterly, Operations Research, Organization Science, Production and Operations Management, and SIAM Journal on Optimization. He has co-authored 11 books published by Chapman and Hall, McGraw-Hill, and Springer. He received the Outstanding Young Engineer of the Year Award from the Institute of Industrial Engineers, U.S.A., in 1992 and the Croucher Award (the top research award in Hong Kong) in 2001. He was named one of the « most cited scientists » in All Fields, in Business and Economics, in Computer Science, and in Engineering over the period 2004-2014 by the ISI Web of Science in 2015. A 2009 paper in the International Journal of Production Economics ranked him as the most productive researcher and the top 12th h-index researcher in Production/Operations Management in the world over the half-century 1959-2008. Over the years, Prof. Cheng has secured more than HK$50 million in research funding from both public and private sectors to support his diverse research programmes.